It’s been 7 month that I have been using the new Obsessions with the RRD Global Bar V8. 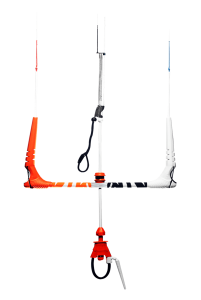 I’ve tested it on water (lightwind, strong wind), snow and even on ice. So I believe I have a clear vision about these kites. Please also note that I’m a big fan of RRD, so I may be partiality on these kites side. I’m a 95 kg rider. Mostly testing the kites in Hungary (gusty wind). If you are interested in the level of my riding, check out the videos you can find on this website, or directly on our Vimeo channel. 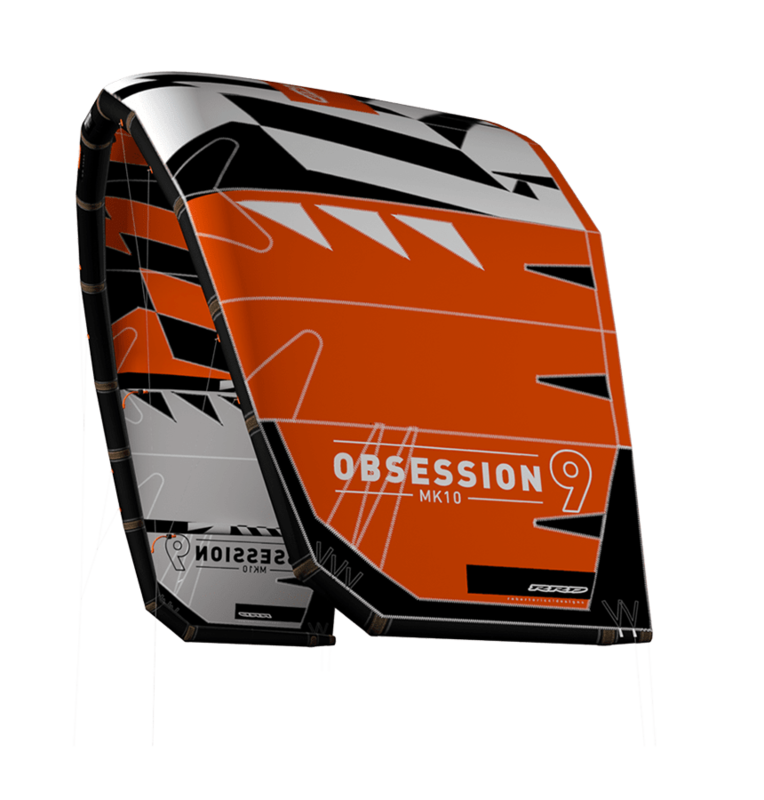 This year RRD decided to merge Obsession MK9 and Obsession Pro MK3 to RRD Obession MK10. The old RRD and the passion was merged into the new Passion. So lets say that now they have just 2 different kites instead of 3. I felt that the Obsession MK9 was a perfect kite for riders with level from beginning to advanced, but lately I have been looking for some more radical kite. I would say the new obsession is perfect. It is more like the Obsession Pro MK3, I wish I started to use that kite earlier. I can assure you this kite is totally different (maybe all new generation C kites are like this, but this one definitely is). I have always been looking for a kite with good all-round performance. I’m a rider who mostly rides in the Hungarian gusty winds. It often happens, that the wind is super gusty. The wind can drop easily and you don’t want the kite to fall down, otherwise you’ll have to cross fields of bulrushes to escape the lakes. I was using the RRD Obsession MK10 with 4 lines and it really had a good all-round performance and it left that extra smiley on my face after sessions with kiteloops and new-school freestyle. First impression when you try a new kite is the response you feel in the bar. For me it is very important. I don’t prefer kites with too light bar pressure, otherwise you won’t feel the kite during difficult jumps. I didn’t really feel the difference from the previous model, which was perfect. The kite can be easily steered without looking. Upwind performance is quite good, I didn’t expect it this good. 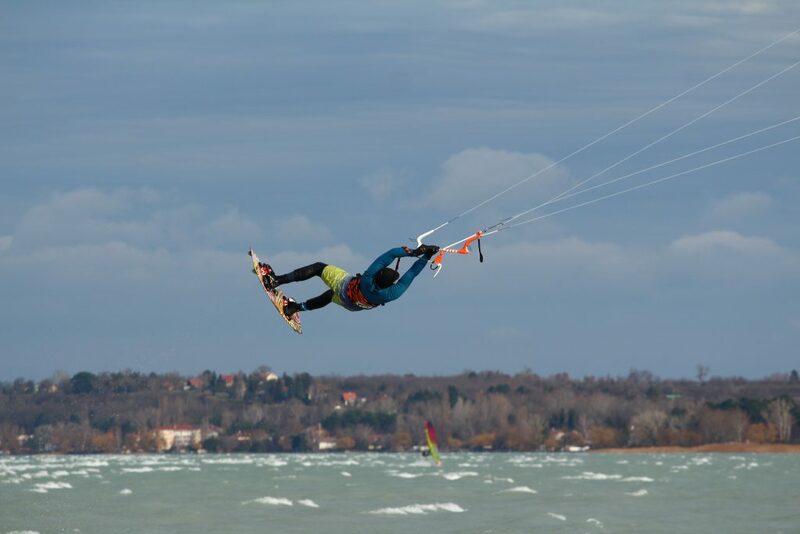 If you are looking for a real freeride kite take the RRD Passion MK9, it really goes upwind with any effort. Also provides a great lift. Despite it I had a good experience with the light end of the kite. One day my friend Balala was riding an Ozone Cathalyst 8m while I was riding RRD Obsession MK10 9m. He is a 70-75 kgs rider and we had to end the session right at the same time as the wind was slowly dropping. Read more about the high end below. You often hear that it is difficult to land with a C kite, or they don’t offer as much hangtime. I can assure you that the new RRD Obsession MK10 offers you everything you need. With 4 lines and standard setup it provides a great hangtime. Actually it is easier to reach longer hangtime for beginners also, since the kite can go to the edge of the wind window easier (thanks to the shape). You don’t have to play as much with the pull&release of the bar to make the kite fly right above you. This way the kite will be right above your head in most of the time, and that is what gives you plenty of time even for board-offs. Once the previous model was right above you, it holded you very well, but once you started to steer it the area of its vertical projection became smaller due to the small wingtips. During a kiteloop it dropped you faster. The super-square design of the RRD Obsession MK10 provides the feel of extra lift when steering the kite in air. It may won’t take you to a higher amplitude but it will hold you longer close to the peak. 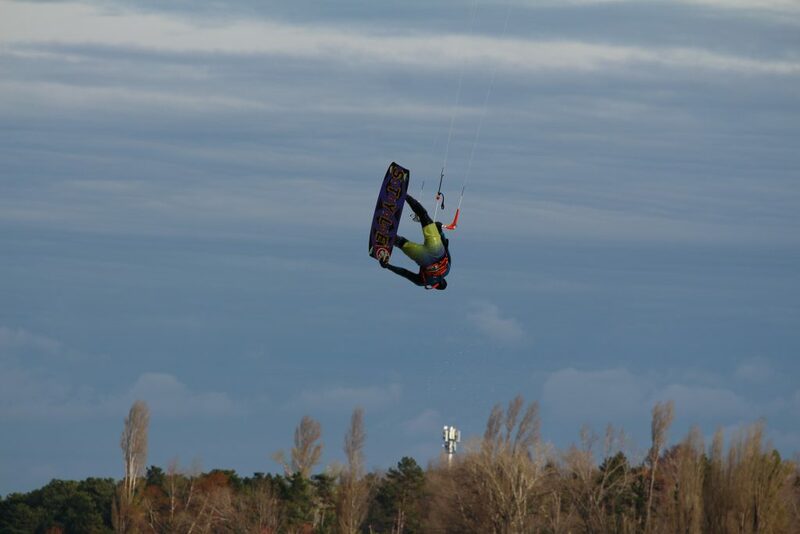 After a strong wind session with the RRD Obsession MK10 my new scores were 20.6m and 18.8m. Problem with the previous model was that in winds around 40 knots the 9m was a bit small. The 10.5m was too powerfull. Once you start to send the kite back it pulls you strong downwind and really difficult to edge. 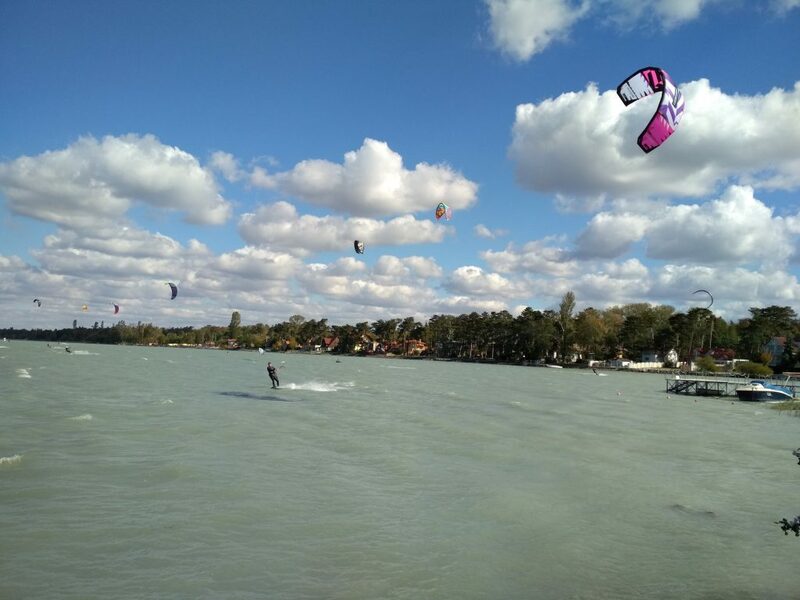 You can reach 14-15m high jumps in a bit lighter winds also, but definitely you will feel the high end of the kite. On 23rd October a 45-50 knots wind came I already tested the Obsession MK10 in light wind, but this time I wanted to use the MK9 9m since I got used to it. In that strong wind it was not a good idea. The wind was too strong for that kite I had to put it down since the kite was not even holding its shape. So I pumped up the RRD Obsession MK10 9m. It could handle the gusts well, and took me high, really high. I would say if you jump 20+ meter high with a kite you just use the 2nd time (1st time in strong wind) that is boss for high jumps. Interesting thing that I still didn’t even feel that the kite was too powerful. I just used the depower during the 30% of the session. Other experience is when we were riding in a wind when the peak was 73 knots. Of course during our ride the maximum was around 60 knots but still it was really strong. I could handle the kite with depower and I had jumps about 15m (it was gusty so I couldn’t go higher due to the lack of constant lift). After this experience I was already fell in love with this kite. I decided to order 10.5m and 13.5m sizes since it is really rare that the wind is so strong in Hungary like I mentioned. I said I’ll be able to handle the 10.5m in every condition. 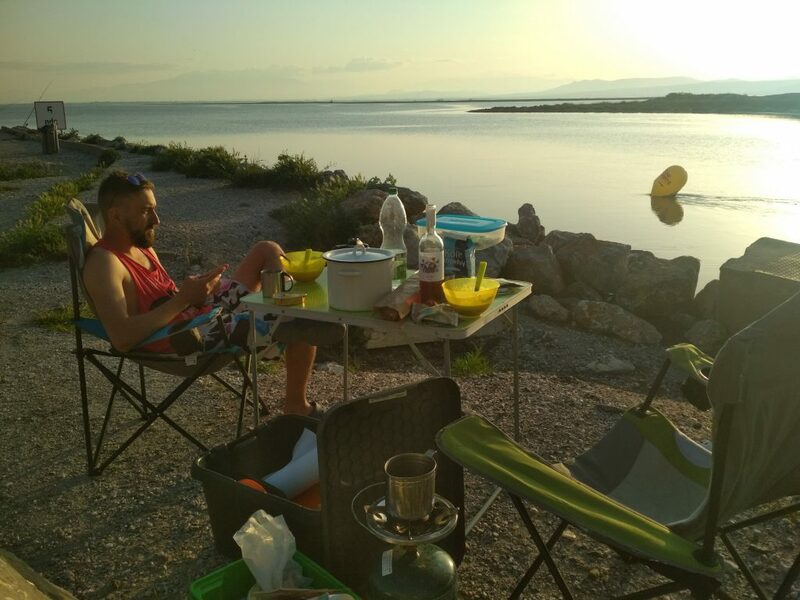 Once the selected kites arrived I had the pleasure to test the 10.5m in Nin (Croatia) on a Bora. Wind was around 45-50 knots again. I could handle it with a little depower, I could jump 16 meters. But it didn’t feel comfortable I knew I’ll have to order also a 9m for these nasty conditions. Next day the wind was weaker so the 10.5m was perfect. It feels like a small kite (super fast turning) providing enough lift (9m may not take you as high) and looping like a king. I can say I will have my best sessions with a 9m but most often the 10.5m will provide me good sessions since the wind is rarely enough for 9m here. This is my favorite discipline and I have never had such good feeling like with this kite. I cannot write down the feeling, it’s just awesome. One note: I often jump kiteloops in gusty conditions to. When the gust comes on the jump you will feel like the adrenaline is directly injected into your veins. When the wind drops during the loop it can still finish the loop and prevent a crash. Definitely a good choice if you want to open up to this direction. The kite won’t stall without depowering. Providing awesome pops and slacks. 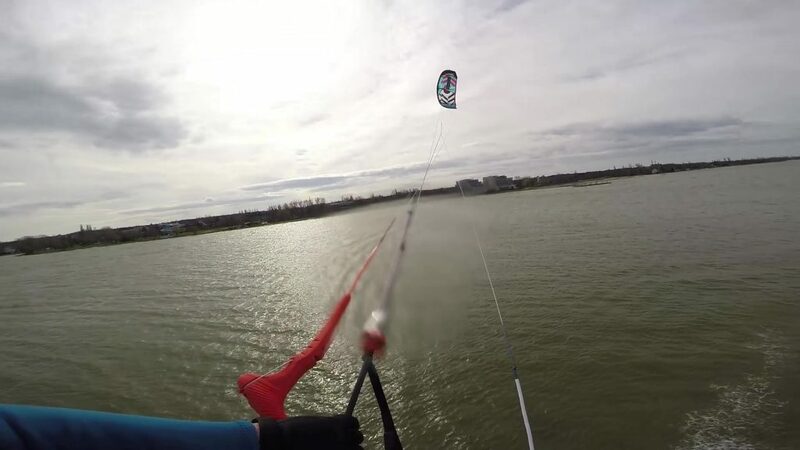 If you looking for a really wake-style kite you may try it with 5 lines. For me the feeling of the unhooked kiteloop was one of the best feelings with the kite. It not just pulls you strong, but also softens the landing more since kite goes to the direction of the edge once it finishes the loop. Good thing that all sized are great in this 9m, 10.5m, 13.5m. I didn’t really ride waves and we don’t have waves in Hungary. I would say if you are wave rider you will buy a wave kite like religion but if there are waves out on the spot you are visiting, go for it. It can drift, you will feel the kite’s position. Use it with 4 lines definitely. I guess the idea is coming from Core. You just use the pump without any adapter. 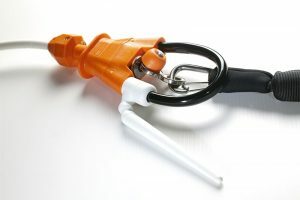 This provides the widest available diameter for pumping and it will be compatible with all type of pumps. One thing I noticed is that the cap of the valve can have manufacturer problems. I used 4 different kites of these Obsession MK10. Two of them had a cap that was working fluently. One of them could stuck occasionally and it was difficult to remove. One of them is always difficult to remove. I guess it can be some inaccuracy during the manufacturing. Providing different setups. Also the 5th line setup’s ‘V shape bridle’ is included. Great kite for all riders. Don’t be afraid if you think you are not advanced enough for this kite. You got a good all-round feeling with chance to improve your jump height, kiteloops and wave-style. Definitely the kite I will use on the GKA Air Games in 2018. Each year I say something I would improve, this year I could really say anything, I just love this kite. I would be glad if the diameter of the main tube of the 10.5m was a little smaller. It may have technical reasons why it is not thinner, but that would definitely offer lower megaloops. As RRD released a new kite they are also offering the newest version of their great bar the RRD Global Bar. I know many people who uses it with different kites since it is really an awesome bar. Safe, clear, well performing. The lines are also one of the strongest. Read my experiment about them. From V6 the V7 brought down the fork of the power lines. But they had to provide a short 5th line for 100% depower. I didn’t like it since it made more complicated the whole bar. Also the friction was more in the lines after rolls. This time the fork is down, no 5th line, and it provides 100% depower. Other great feature is that it can rotate easily. Once you perform rolls or loops to just one direction you can simply twirl the lines and the kite lines will be clear again. The first release system also reformed. Unfortunately it happened to me twice that I activated it unintentionally. I didn’t really feel how I pushed it away, but one moment to the other my kite was already on just one line. Good thing is that both times I could recover the kite (one of the two times I had to go out asap so I could untangle my lines, but the kite was still flying). They introduced short and long leash. Both of them lacks a carabiner from the side that you hook to your harness. They replaced it with strong rope. I like it since before one of my carabiners opened so I had to use tape to fix them. Also my weight could inflect the carabiner after missing dangle passes. The rope is much stronger. 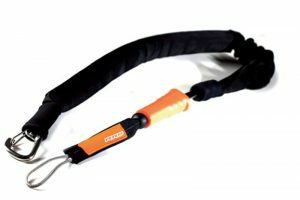 In my previous review I already mentioned that I love the idea of the bar bag. I mentioned that I had some problems with the size. The new bag is perfect. Big enough and the bar can get some air. Try it, you will love it. I’m still surprised why other manufacturers don’t copy it. Great review of this kite. I’ve just bought a 12 m version. I’ve been kiting a couple of years , took it out yesterday but struggled to get any power into it.it would fly but felt under powered. Everyone else was on 12s so there was plenty of wind.your thoughts welcome. As I mention in my article you need a bit bigger size than the others. Before I was using 12m Obsession MK9, now 13.5m from this. So if the others also were using 12m open profile kites it maybe was not enough for this C type kite. 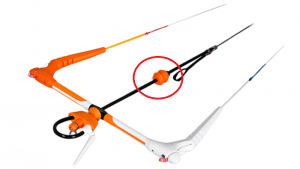 So basically everything is like it was in the package just the attachment point D I put the pigtail to the last knot ==> It will result the front of the kite going more up, so it will give more power to you. I had a chance to try the MK10 in 12m size and I was a little bit disappointed by the power of the kite like Kindlman. Setting was D2 last knot and Steering lines for the fast turning attachment point and the middle knot, Average wind was about 12m/s, others were riding 9m and even smaller kites and I was fine with OB MK10 in 12m. I felt like I would be bale to ride it even in the stronger wind. But when the wind dropped in the afternoon to the 7-8m/s I had to go out because i wasnt able to ride upwind with my 133×40 board and 85kg. The guys were riding also Obsession MK10 9m on 5lines and said it behaves totaly different. It has more power, its quicker but has less depower and cannot absorb gusts as good. we also got your email, but I’ll answer you here. Your low end is totally okay. So basically This MK10’s pull feels less than the previous obsessions. It comes from the shape. If see it from above the area of the kite fill be less (vertical projection). So it will be more difficult to ride in light winds. But the power will be more during loops, turns, and I believe one can jump higher with this one in strong winds. Just a quick experience: I used Obsession MK9 12m before. Then I used Obsession MK10 13.5m. The old one started to pull in lighter winds (it is a really strong kite. Even stronger than yours). But the new one’s high end was much better. Passion is more intelligent, more all-round. Still I don’t like it’s behavior that much. Totally different than your obsessions. One thing: you won’t regret any of them. It will be really good, maybe the one you are looking for, I guess. So no worry, you will like all of them. Maybe the new Obsession is not designed for your style, and not for light winds. I’m not a dealer but I can help you to get kites for about 1150 eur (big sizes). 950 eur (smaller sizes). Maybe it is not the best prices I just checked my friend’s listings. If you like it send a mail like before.